You have no idea how many times in my life I have wished that teleportation could be a reality. I love to travel, as in I love to be where I’m traveling to, however the traveling itself has gotten a bit tedious for me. I’m sick of long car rides, and I hate having to go through the struggle of airports. It would be incredible if I could have a little teleportation device to simply push a button on or hop into a teleportation machine and it would send me wherever I want to go in barley any time at all. Unfortunately, this technology doesn’t exist. We are on the way there though! I was curious, so I tried to figure out what sort of research is being done on teleportation technology. I found one research paper published which reported that a group of European researchers managed to successfully complete a quantum transport of photons a distance of about 88 miles between to Canary Islands! This article discussed how this success was accomplished and reported just a few short days after Chinese researchers reported transporting photons about 60 miles. The process of quantum teleportation means the information can be sent between two locations helped by a previously shared relationship between the sending and receiving locations. It’s taken years to even get to this point, and we’re only just now figuring out how to send tiny little photons very short distances. It took the European researchers close to a year just to develop systems that could withstand the weather conditions they would encounter. They also used single-photon detectors to detect the information teleported across the two points, and synced the clocks between these two points. Both of these successful attempts at quantum teleportation have set the basis for future attempts. We now know the fundamentals behind quatum teleportation. We can really only move forward from here. However, like this article says, neither one of these reports published have been peer-reviewed. This does mean that reports in the future may show slightly different results. 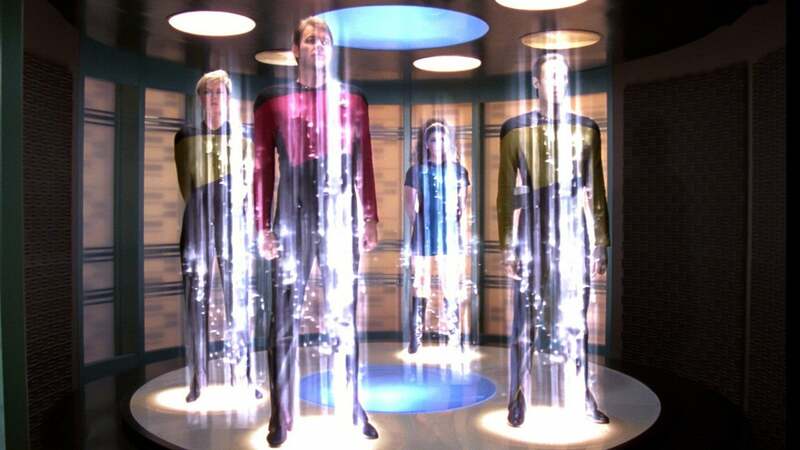 The reports are basically just proving that a concept for quantum teleportation is one that can actually be used. This entry was posted in Uncategorized on November 30, 2016 by Angela Maria Napolitano. Angela, I think that the idea of teletransportation is also fascinating. Having the ability to physically put yourself in a different place almost immediately would make for a huge convenience to mankind. It’s fun to wonder how different our world would be if we could end up in a different location at the blink of an eye. I also view teletransportation as similar to astral projection. Being able to view your own body while having an out-of-body experience. Cool area to go with a blog post. Although we thought in the 60s that we may have flying cars by now there are some things that are possible. I was not aware of the teleportation devices being tested. Although these devices had to be blueprinted somehow a lot seemed like fantasy but there are some out there that already exist or are possible. This article http://www.cracked.com/article_20548_5-pieces-star-wars-technology-that-exist-right-now.html is a fun little realization about things we have developed from these different technologies. I chose star wars because it is the superior space series (Shade intended) of the two major series. Well in the last 100 years we broke speed records, went to the moon, and modified medicine to once unimaginable points. Maybe one day we will reach all of these fantasy technologies, maybe sooner than we think. So until we get there if we ever do, we just have to live long and prosper. I really liked this blog. I thought it was very well written and very interesting. I can inly hope we figure out a way to teleport safely! I liked how you noted that the paper was not peer reviewed, because it shows you are aware of the faults it may have. I also liked that you used a research paper, not just an article to back your claim. I think you could have elaborated a little more, but overall I thought you did a great job! Check out this article that goes along with what you are saying. I found it to be very interesting!